If you are reading this post on how to choose your destination in Croatia that means that you already have some experience in choosing a destination (after all you've already decided to visit Croatia). The process usuaally goes like this: you start reading about the country, and you feel an absolute excitement (vacation planning is in a way as exciting as vacation itself), just to go back to feeling completely lost and tired (there are so many places you’d like to see and experience, and so little time), and then again back to feeling excited once you finally choose your destination in Croatia. When you choose your destination in Croatia, the following things will often affect your choice. 1.1 1 | How long do you plan to stay in Croatia? 1.2 2 | How do you travel? 1.3 3 | What moves you? What are your interests? 1.4 4 | What's your budget? 1.6 6 | What's your travel style? 1 | How long do you plan to stay in Croatia? You obviously cannot visit as many places in Croatia in a weekend as you can in two-weeks. I know that you’d like to see as much as possible, but you cannot see the entire country, and its highlights over the weekend. Even if Croatia is relatively small country. For a weekend break, just choose one destination and stick to it. No need to be jumping around like crazy just so you can say you’ve been here and there. Or just to simply check the things off your list. Stay at one place (make sure it’s an awesome place!) and get to know it well. If you plan to stay in Croatia just a bit longer, for up to one week, decide on a centrally located destination in Croatia. This can be your base to explore the surrounding area. I know you’d like to see so many places, but spending your week in Croatia on bus, or in a car, isn’t going to cut it. Focus on a smaller area, and enjoy exploring it. Below are suggested places for each region of Croatia. 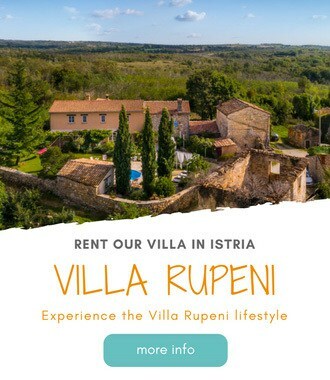 Stay in Porec, Rovinj, or Pula if you would like to explore Istria. We rent a nice pad in Porec, you might want to check it out. Zadar is a great choice for those who would like to explore both coastal and continental Croatia. It's less than three hours from Zagreb, two hours from Plitvice Lakes, just minutes away from Velebit and Paklenica National Park, and a short boat ride from Kornati Islands. Split is a great base to explore the highlights of Dalmatia: islands of Brac, Hvar, Vis, and Solta, the coastal towns Trogir, Sibenik, Omis, and Makarska, or natural sights like Biokovo mountain and Krka National Park. Southern Dalmatia is best explored from small villages along Dubrovnik Riviera. And our suggested destination is Komarna. Komarna is a small village located 70 km north of Dubrovnik. It's a perfect place for day trips to the Peljesac peninsula, islands of Korcula, and Mljet, and even some awesome sights in Bosnia and Herzegovina, like Mostar, or Kravica Waterfalls. Vera's parents rent nice seafront apartments in Komarna. If you plan to stay at least one week or longer, you can travel from north to south, stay at various destinations, and explore the broader area. The most popular tour includes a visit to Zagreb, Plitvice Lakes, Split, island of Hvar and Dubrovnik. You can check this interesting tour provided by the G Adventures. They also have a similar 12 days tour that also includes a visit to Nikola Tesla birthplace (but no visit to Hvar), and a visit to neighboring Bosnia & Herzegovina (Sarajevo & Mostar), and Montenegro (Kotor). 2 | How do you travel? How do you plan to travel around Croatia? Your mode of transportation, to certain extent, will influence your decision on destination in Croatia. Travelling by car is definitely the fastest way to travel around Croatia. So, yes, if you cannot stay still and you just love to see as much as possible no matter how short your visit to Croatia is, consider traveling by car. Bus connectivity in Croatia is very good (with exemption of Istria and the islands). Exploring Istria on bus can be a bit of a hustle. If you still plan to do it, you’ll probably want to stay near a center of a town, preferably in Pula. Island hopping by bus is a joke (it can be done if you are traveling slowly, really slowly). If you still want to do it, then choose a town that is an island's main ferry port to put all chances on your side. Unlike the rest of Europe, train connectivity in Croatia is limited. Only few destinations can be reached by train (Split, Rijeka, Zagreb, Zadar, …). Your destination choice will be determined by train connectivity. Don’t forget that trains are slow in Croatia. 3 | What moves you? What are your interests? This is maybe the most important factor to consider when you choose your destination in Croatia. What kind of holidays are you looking for? Do you enjoy cities, or countryside? Are you an adventure traveler in search of an adrenaline filled activities or you just want to relax by the beach. Are you into culture and history, good food and wine, or you want to avoid crowds and find a place away from it all. Answering this question will narrow a lot your choice of destinations in Croatia. If you like adventure, you’ll probably choose Paklenica National Park or Omis. If you like to party the island Murter, Pag, or Hvar will be right up your alley. For foodies, Istria will be an obvious choice. If you enjoy cities, then Split, or Zagreb will keep you happy. 4 | What's your budget? We have to come to your travel budget. Maybe you would like to stay in Dubrovnik for a week, in a 5-star hotel overlooking the old town, and eat out every night. This might be your dream vacation, but if your budget doesn’t stretch that far, you’ll probably have to adjust. You’ll get an apartment rental out of the old town instead. You’ll shop at local market, and cook your meals. Or you’ll choose another destination all together. And although you can pretty much visit any destination in Croatia on any budget, budget does matter. Simply put it – the more popular a destination is, the more expensive it is. An admission to the Risnjak National Park in August is a 45 kn per person for a 2-day ticket, one-day entrance ticket to Plitvice National Park costs 180 kn per person. You’ll pay a half-board for two in any hotel in Rovinj at least 20% more than in Porec. A simple burger in Hvat Town will cost you 50 kn, the same burger in Jelsa you'll pay 25 kn. A beer in Dubrovnik Old town will set you back 40 kn, when the same beer in Split you'll pay 20 kn. We’ve written a post on how much money you’ll need in Croatia. Croatia is small. The towns and villages along the cost go very quiet during the winter (January and February being the quietest months). Restaurants close down, shops are empty, locals go skiing to the neighboring countries, or simply stay in their houses playing cards and drinking wine. Town’s bustling streets you experience in summer, are deserted during the winter, and you only encounter stray cats. Unless you are really looking into a peaceful (too peaceful, we might add) retreat, you’ll probably avoid Croatian small coastal towns during the winter (and islands even more). But Split, although quieter than during the summer, is still very much alive. Zagreb too. On the positive side, everything is cheaper (especially accommodation). So you might trade activities for cheaper vacation, and less crowds (no lines, people!). 6 | What's your travel style? Are you traveling alone, as a family with kids, or a couple? This is very important when it comes to choosing your destination in Croatia (and maybe even more when you choose your accommodation in Croatia). If I was travelling solo, I would like to stay in bigger towns where I can easily meat fellow travelers, or where locals are more open minded and easier to make a contact. This is just me. You might be totally different, and take a solo travel as a self-discovery. Thus, searching for a totally remote place with very few people. As a family with kids, maybe you dream of visiting historical and cultural sites all day long, but we know that your kids won’t be happy. You’ll be looking into destinations that have a balance between the two. Porec, for example, can be a great choice for family holidays. Check our post on best destinations in Croatia for couples. What does affect your decision the most when choosing your destination in Croatia? Did we forget anything? Let us know in the comments below. Day trip to either Pag Town? What would be a best spot to go for camping, somewhere near the sea and a national park? Thanks for the tips! I am planning a 5 week holiday in Croatia for this September and every little bit of advice helps. I like to plan my trip to see a lot of a little instead of a little bit of a lot of places. Croatia has so many beautiful places to see, it makes it hard to choose! I feel 5 weeks is plenty of time to hit the highlights and spend some time living like a local as well. This is my plan so far: fly into Zagreb 3 nights, hire car drive to Lake Bled 4 nights visit caves, Ljubljana 3, Rovinj 4 and do day trips to Pulla & Motovun, Plitvice Lakes 2, Zadar 2 and Split 2 or stay 4 at one of them and do a day visit perhaps by ferry? Gradac 5 and day trip to Mostar and Peljesac wine region, Dubrovnik 3 and finish up in Bol on the island of Brac for about 5 days before getting a ferry from Split to Ancona. I would love some feedback from you on my plan so far, do you think it sounds do able? I will continue to read all of your web site in the mean time! Thanks Karen. sounds great to me. The only thing I would change is staying two nights on Plitvice. I think a night there will suffice. The rest sounds perfect. Have a nice holidays in Croatia and Slovenia. What would you say is the best place in Croatia for a solo female traveler to go in the summer months? Thanks! and Zadar (in that order). Zagreb is nice in summer, as it goes a bit empty (just enough), Split is a town, and you’ll always find something to do and explore. Dubrovnik has lots of tourists, and many solo travellers as well. Are you planning to stay in hostels or elsewhere? These are great tips! We spent almost three weeks in Italy and I’ve been so anxious to go back because there is still much I have to experience. It’s always hard to fit in all of what you want to do and see when traveling but you did a great job reminding us of some important things to think about no matter where we’re going. I can’t wait to visit Croatia and now I’ll have your tips to reference. THANKS! Good tips…..if you could only pick one sandy beach convenient to an airport, which would it be? Great tips! I am looking forward to making it back to Croatia in the coming years after having just gotten a glimpse cruising along the coast. As a solo traveller, I’ve always found Croatia’s bus network to be excellent. Fast, frequent and comfortable, they give me the freedom to gaze in wonderment as the constantly changing scenery all around and I always have my mp3 player with me. The other thing I like is that on a long journey, the driver will make ten minute ‘comfort’ stops, so people can use the loo, grab a macchiato or just stretch their lags. Having said that, I’ve always travelled on or near the Adriatic coast, I’m sure things get a bit more ‘hairy’ in more remote, inland parts. I think driving is really the best way to get around. Croatia is so gorgeous; I wanted to stop and take pictures every five minutes. I would love to do a weekend in Zagreb! And maybe next time, Istria…too much to do! great post!! can’t wait to be in Cres next august!! We’r quite shocked about Pitvice tickets vs. Risnjack… fool!! Go on a boat around the islands!! YEAH!